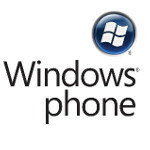 A report from research firm Strategy Analytics forecasts that Windows Phone will own 4% of the U.S. smartphone market in 2012. That will represent a small gain from the 3% share the platform had last year. According to the research firm, handset manufacturers Nokia and Samsung will be behind any gain in market share for the platform this year. 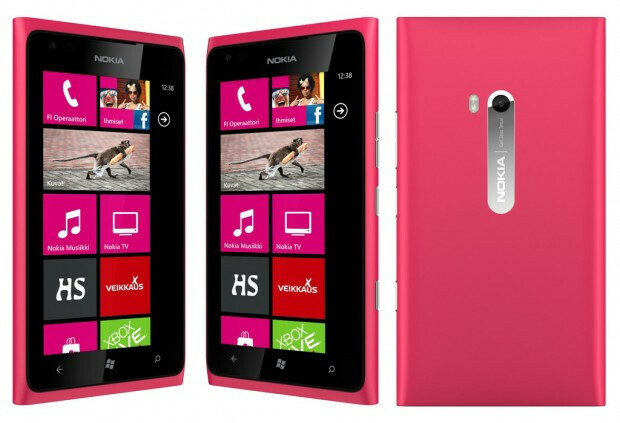 The report dovetails with a recent estimate from NPD that Windows Phone models had doubled their U.S. smartphone presence from 2% last quarter to 4% in the current three month period, riding the coattails of the flagship Nokia Lumia 900. The report also matches the May comScore report that shows Windows Phone with a 4% share of the U.S. smartphone market. That compares with the 50.9% controlled by Android, the 31.9% share that belongs to iOS and the 11.4% slice of the pie owned by BlackBerry, The U.S. smartphone market is expected to grow to 123 million users this year from the 102 million that used a smartphone last year. The problem for Microsoft is that at 4%, that would represent only about 5 million Windows Phone models in use. Strategy Analytics analyst Neil Mawston believes that for Windows Phone to gain more market share in the States, it will have to support some of the more "advanced technologies" already seen on competitor's model such as support for multi-core processors, improve the Windows Phone Marketplace, offer more handsets produced by names like Nokia and Samsung and reduce the licensing fees that Microsoft charges smartphone manufacturers per unit. Windows Phone 8, due out later this year, will address some of those issues such as allowing multi-core processors, higher resolution screens and a microSD slot among other imoprovements. slow and steady wins the race!!! Right the tortoise did beat the hare. Or was that just a fairy tale? Hey at this point any gain is a good gain. I really believe that with WP8 the number will spike dramatically. & I mean upwards. slow and steady ...wash the plates cuz everyone's have eaten and moved on! It does. Smart growth regardless if its inching along. There is little doubt that Windows Phone probably will end up with number #2 in marketshare in about 2 or 3 years. Microsoft has a large force pushing this one and Nokia will ride those coattails. 1 thumb up for your love and being patriotic to the united states of greendroid! It'll be interesting to see surface like phones from MS as well (not kin crap)...then iPhone owners who have PC might consider jumping ship to WP8! It just goes to show you if you do your home work there are more children who play with and use Andriod as toys but the truth is adults use more ios platform and windows platforms. I have a Andriod phone as a back up but my son plays games on it mostly. My iPad is for myself but will jump ship when windows 8 surface tab come out. Use my Nokia 900 as my main phone and an iPhone 4s as my work phone. Wow...where do I begin... My kids mother dumped BB for Android...because she was in college, had to do homework from a professor's website...and the web experience was alot better on Android. She would have needed a phone that could use ....full Flash....so that canceled the iPhone out immediately. Android can be very much for work. Its up to the user...I can almost guarantee that out of ALL those Android users, you know Android, that has so much market share....that all of them aren't kids playing games. When are these myths about Android gonna end? dark is right. iOS dominates when it comes to business. Over 60% of business users are now on iOS. Android is not very stable and not secure. iOS also has more features for exchange. For example when I tried doing exchange email on an android phone it couldn't do HTML email. Ahh...Exchange. I will give iOS and WP that one. It has gotten better on Android. But saying one cant do real work on an Android isnt entirely correct. It depends on what real work you do. Also...each version of Android has gotten better at stability and security. It cant be too bad if the military is interested in Android devices. another crap half baked OS. restricted prison . Windows is doing the right things. They're moving slow, but they have a good base for their OS. Android is going to be in trouble once Windows gains some steam. Android? You mean iOS as Windows is just like iOS but in a slightly different flavor. Android is the community OS, means that it gets it's legs from everyone that likes to delve deep into their OS and get more out of it than the developer intended. You and your sideways and biased commentary, you iOS gits are so ridiculous at times. This story is so confusing, it says that these guys predict that WP will reach 4%, then go on to say that goes along with some other geniuses that said WP grew from 2% last year to 4% this year...my question what the hell is wrong in this whole story....these numbers seem a bit odd and not making sense to anyone who knows how to add. Editors need to double check those numbers as something doesn't add up or make sense, some words are missing or something. If you read Ballmer's recent speeches you will see that he attacks Apple all the time and not Android. He clearly sees that he can take market share from iOS, so Surface is the means to beat the iPad. He surely knows that he can't beat more advanced and free Android, at least right now. Ppl have been predicting Android being in trouble since 2010.... Lets just accept the fact that ppl want choices, for hardware and for which OS they wanna use....and stop worrying about who is or isnt gonna survive. Without being on Verizon or Sprint, willing to bet the Arrive and the Trophy haven't accounted for 1% of sales on their carriers, I wonder how much better WP could have done. But I sure would have felt better with upper single digits than lower. 4% is better than 2%, but it isn't exactly soaring to success. Q4 will have the first real test for WP 8. 6%-8% in that Quarter would be a monster step ahead. No way it gets close to the 10% I was hoping for at the end of this year.